Five short years ago, New Hampshire made history and became one of the first states to pass marriage equality! 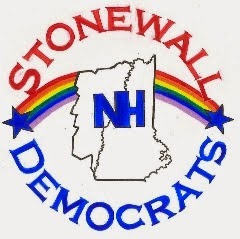 We have seen much progress over these past five years as Stonewall Democrats have been elected to the State House, State Senate, and Executive Council. This fall, let's keep moving the Granite State Forward by returning these great leaders - and more - to Concord. In honor of the 5th anniversary of marriage equality, tickets to this event are only $5: Click here to reserve yours right now. P.S. - Sponsorships are also available, click here to find out more right now.